How can I switch payment processors? 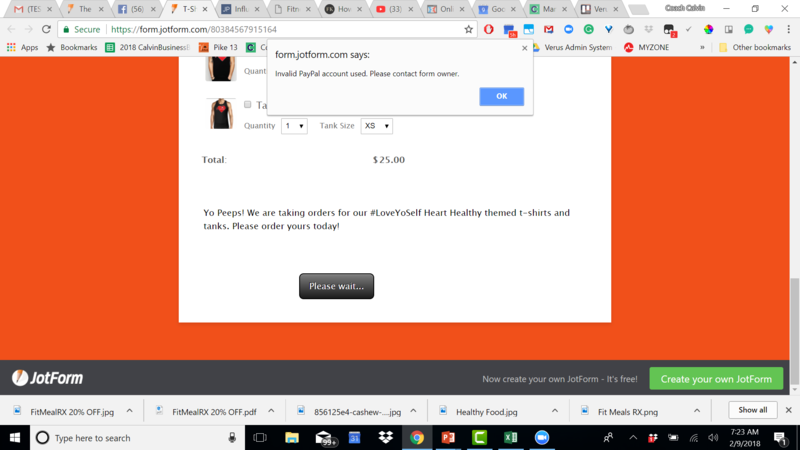 I am using a shirt sales template and tying to use Stripe with it. It shows that PayPal is currently set up, but one someone tries to purchase a shirt, it says "invalid PayPal account. See owner." I don't see where I can update my info. I will use PayPal if I must, but want to use Stripe. How can I change it to Stripe or at least get Paypal working on my form? Thanks. 1. Click the PAYPAL payment field on your form. 2. Click the WAND icon. 3. Check the PAYPAL ACCOUNT section. If the correct PAYPAL ACCOUNT email is there, then you're all set. Otherwise, change it to your preferred PAYPAL ACCOUNT email. NOTE: If you're not seeing this screen, click the small GEAR icon at the top of your PRODUCTS first. 4. Click the CONTINUE button at the bottom to save your changes. And if you prefer to use Stripe, then please ignore the steps above and just click the red TRASH BIN icon instead of the WAND icon on your PayPal payment field. Afterwards, add STRIPE to your form and that should do it.